The much-touted National Mortgage Settlement has done little to help homeowners in the East Bay and throughout California. And banks are continuing to break the law. 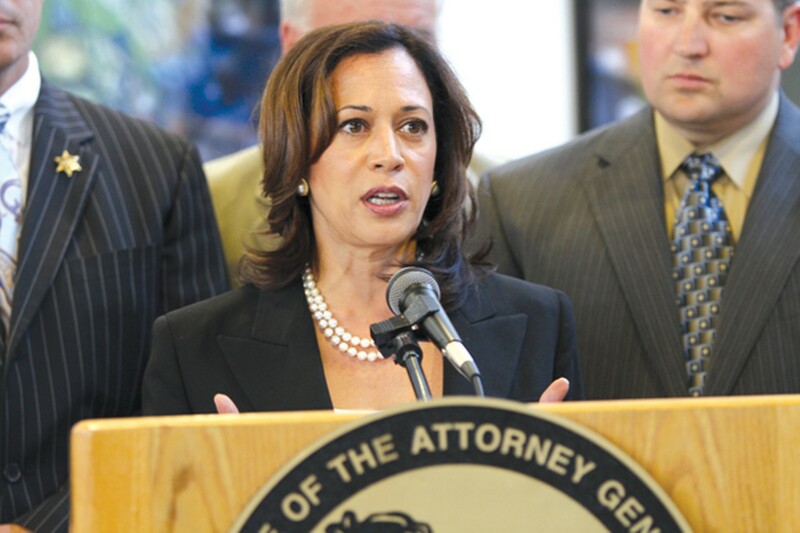 California Attorney General Kamala Harris touted the $18 billion settlement with banks in 2012. In 2012, the US Department of Justice and the attorneys general for 49 states touted a historic legal settlement with big mortgage lenders, saying it would provide justice for people who lost their homes in the foreclosure crisis and would prevent further abuses by banks that had caused the Great Recession. 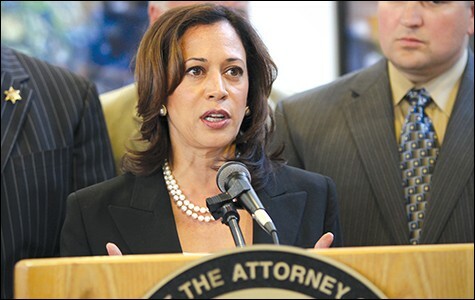 California Attorney General Kamala Harris said at the time that the National Mortgage Settlement was the result of "thirteen months of intense discussions, sometimes battle" with the banks and their armies of lawyers. The settlement included $18 billion in relief for residents of California, which has recorded more than 900,000 foreclosures since the housing crisis began in 2006. The agreement also required banks to cease deceptive and illegal practices used to foreclose on borrowers — tactics like robo-signing; failure to provide borrowers with a single point of contact; and dual-tracking, whereby banks tell homeowners they are modifying their loan while at the same time quietly executing a foreclosure and sale. In press conferences, top federal and state law enforcement officials told the public that the settlement would put an end to all this chicanery, and channel financial relief to borrowers. "We discussed what we needed in terms of making sure there would be meaningful relief, but not at the expense of meaningful investigations," Harris said at the time. "It was imperative that we not give a blank check of immunity to the banks for their wrongdoing." And yet five years after the financial crisis and two years after California's top law enforcement official uttered those words, not one bank executive has been prosecuted for his or her role in blowing up the national and global economy. Instead, top bank officials are getting big pay raises. Bank of America CEO Brian Moynihan's pay was boosted from $8 million to $13 million last year. Wells Fargo CEO John Stumpf was paid $19 million last year, and the bank's head of consumer lending, directly in charge of its mortgage department, was paid more than $8 million. In addition, none of the banks or major mortgage servicers has been criminally prosecuted for systematic violations of the law. There have been no prosecutions of the biggest banks that perpetrated the most damaging and predatory illegal lending practices on low-income communities, especially communities of color — practices that included luring borrowers into toxic indebtedness. Worse still, the actual financial relief delivered to distressed California borrowers under the National Mortgage Settlement has been a mere fraction of the more than $18 billion in credit claimed by the banks in fulfilling their legal obligation, according to analysts who have examined the final numbers. Critics point out that only a small portion of the settlement's relief was in the form of first-lien mortgage principal reductions, and that more than half of the total relief involved short sales in which borrowers still lost their homes and much of their savings. Lawyers throughout California say that the big banks responsible for servicing most mortgages in the state are still flouting the terms of the settlement, violating the law, and brazenly foreclosing on borrowers who are owed modifications. Nick Pacheco, a former deputy district attorney in Los Angeles County who is now a private attorney, says there are far more borrowers still being victimized by banks than he and similar attorneys are able to represent. "In the last four years I've filed seven hundred lawsuits against the banks," he said. "I have one hundred clients in litigation right now." One of Pacheco's clients, Gabriel Campos, obtained a mortgage from Wells Fargo Bank in 2003 for his home in Hayward. In 2012, Wells Fargo foreclosed on Campos' house. According to Pacheco, Wells Fargo violated multiple sections of California civil and business law by failing to contact Campos prior to the foreclosure, and by filing a flawed Notice of Default. Pacheco is helping Campos fight the foreclosure in Alameda County Superior Court, but he said that for every homeowner like Campos who attempts to hold the banks accountable, there are many more who disappear quietly into the giant cracks of the legal system. "The banks figure it's cheaper to deal with me and other private attorneys than to staff up and inform their employees about how to follow the rules," said Pacheco. San Mateo attorney Matthew Mellen has also filed hundreds of civil actions against banks for their ongoing violations of state laws in spite of the National Mortgage Settlement. Many of his clients are like Hyatt Chaghouri, who purchased a small house in San Bruno in 2006 with a loan from World Savings Bank. Chaghouri alleges that a World Savings loan officer "concealed from her that the loan was actually negatively amortizing," according to a lawsuit filed two months ago in the San Mateo County Superior Court. The negatively amortizing feature of the loan caused Chaghouri's monthly payments to balloon in 2007. When Chaghouri sought a loan modification from Wells Fargo (which purchased World Savings in 2008), the bank failed to provide her with a single point of contact, repeatedly passing her off to different "home preservation specialists," said Mellen. This was in direct violation of the National Mortgage Settlement and the Home Owners Bill of Rights. According to Mellen, Wells Fargo then lured Chaghouri into purposefully not making interest payments on the loan so as to qualify for a modification. But instead of modifying her loan as promised, the bank then filed a Notice of Default, damaging Chaghouri's credit and initiating the foreclosure process. "The National Mortgage Settlement is useless," said Mellen. "This is the greatest fraud in history, and it's going on right now day after day. Millions of more people are going to lose their homes, and the banks are incentivized to keep doing this." California Deputy Attorney General Benjamin Diehl's job was to prosecute banks for defrauding the public. Now he works for them.